Click here for a list of recent news updates. 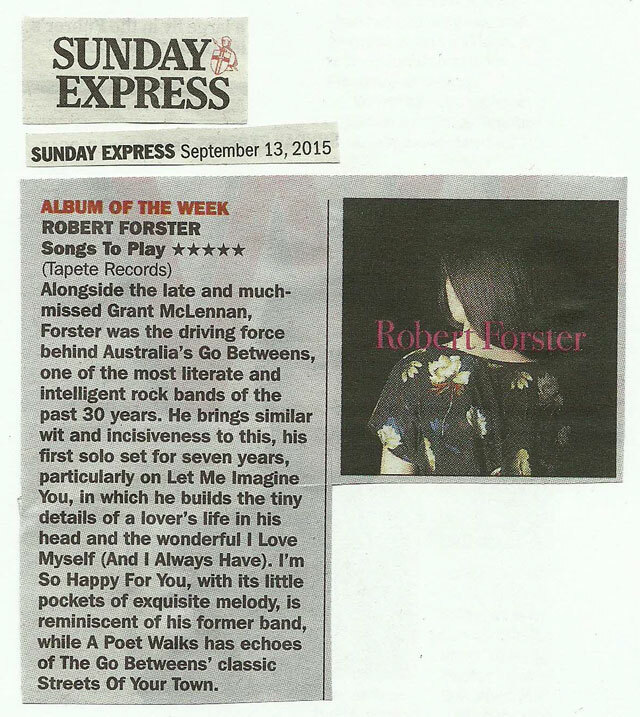 Robert Forster's first album in seven years, Songs To Play, was released on 18th September 2015 by Tapete Records on vinyl, CD and download. The album was produced by Robert with Scott Bramley and Luke McDonald of The John Steel Singers. Scott and Luke play on the album along with Matt Piele and Karin Baumler. Tracks on Songs To Play include Learn To Burn, Let Me Imagine You, Songwriters On The Run, I Love Myself (And I Always Have) and Disaster In Motion. Full tracklisting here. Songs to Play can be heard as a stream from The Guardian and the Courier-Mail. The album can be ordered now from Tapete Records, as deluxe vinyl, regular vinyl or 4-panel gatefold limited CD. Both vinyl versions include a copy of the album on CD. The deluxe vinyl version is limited to 500 copies and comes in a special 'Tip-on' style cover. It also includes a postcard signed by Robert Forster and a @I Love Myself (And I Always Have)' sticker. Full details on all versions can be found on the Tapete Records website. Robert will be appearing live through to the end of the year in support of Songs To Play. Scroll down for dates. More about Songs To Play in this YouTube video clip:. 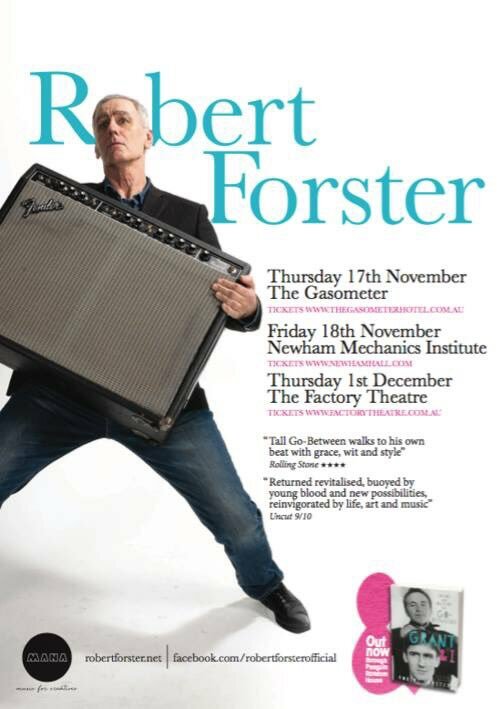 Robert Forster is playing some solo shows in November/December 2016. 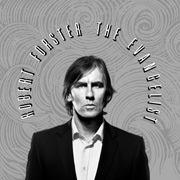 Robert Forster's album Songs To Play has been nominated for a 2016 ARIA award in the category 'Best Adult Contemporary Album'. The winners of this year's ARIA awards will be announced on Wednesday 23rd November 2016 at the awards ceremoney in Sydney. 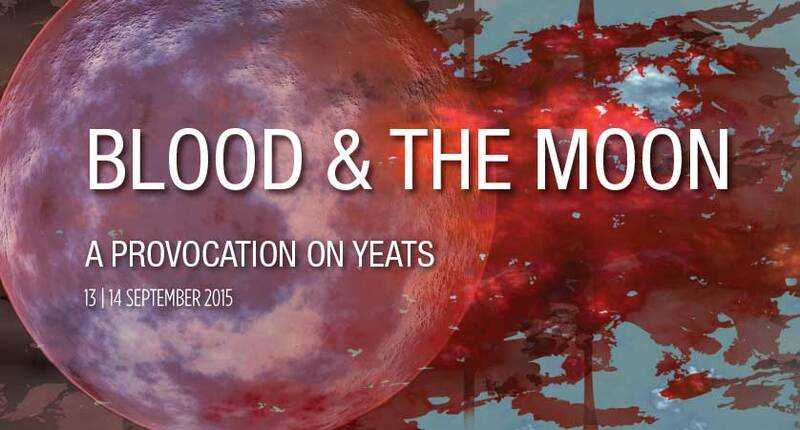 Blood and The Moon - A Provocation On Yeats will be performed at the National Concert Hall, Dublin, on 13th and 14th September 2015. 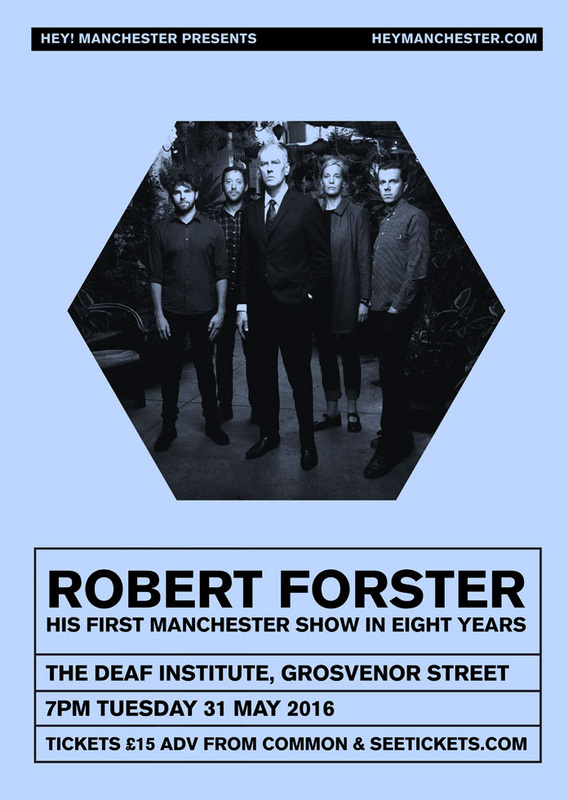 Robert Forster has been invited to contribute, alongside performers including Anna Calvi, Cathal Coughlan, Sam Amidon, Paul Muldoon and others, at the invitation of Thomas Bartlett. Tickets go on sale on Friday 22nd May 2015. More information from the National Concert Hall website. 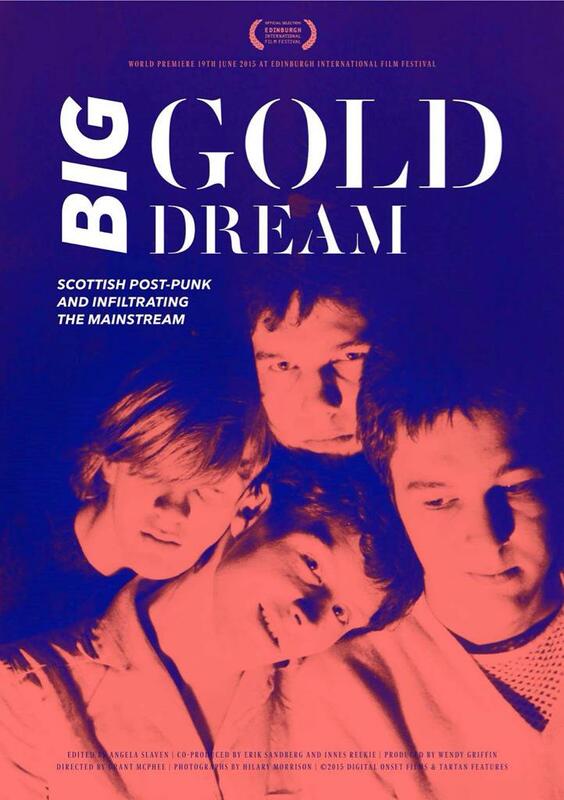 Robert Forster is the narrator of Big Gold Dream: Scottish Post-Punk and Infiltrating the Mainstream, a film telling the story of the post-punk and indie scene in Scotland, focusing on the Fast Product and Postcard record labels. Robert's narration was recorded in Brisbane in May 2015. The film has its debut at the Edinburgh International Film Festival this month; tickets and more information on the Edinburgh International Film Festival website. Big Gold Dream was recently reviewed by Film Pulse. 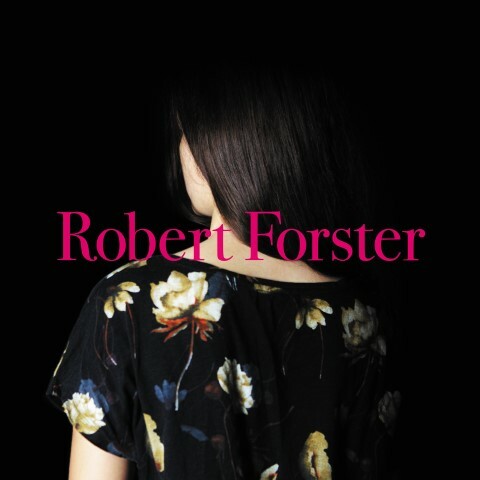 Robert Forster will be in conversation with Hawke Research Institute Director Professor Anthony Elliott at the Adelaide Festival Theatre, Adelaide, on Thursday 20th August 2015 and at the Museum of Old and New Art (MONA), Tasmania, on Friday 21 August 2015. The evening will include an acoustic set from Robert. More information and tickets via the University of South Australia and MONA websites. Anthony Elliott previews these shows in the Adelaide Review on 6th August 2015. Leader of The Apartments, Peter Milton Walsh, was in the Go-Betweens alongside Robert Forster and Grant McLennan for a short period in late 1978. 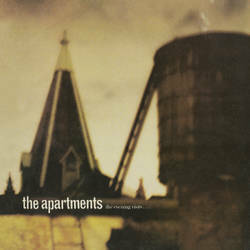 The first Apartments single, the Return of The Hypnotist EP, was released on The Go-Betweens' Able Label in May 1979; the three tracks from that single are included among the bonus tracks on the new issue of The Evening Visits...., released by Captured Tracks as a CD or double LP vinyl edition. The album can be ordered directly from Captured Tracks; in Europe the album is available through Rough Trade. 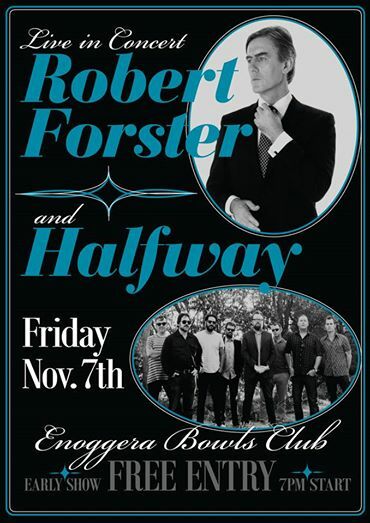 Robert Forster will be performing at Enoggera Bowls Club, Enoggera on 7th November 2014. Robert will be supported by Halfway, whose recent album Any Old Love was co-produced by Robert. Robert has reviewed Bob Dylan's performance at the Brisbane Convention Centre on 25th August 2014 for Australia's national The Saturday Paper issue dated 30th August 2014. Robert also appeared on 612 ABC Brisbane's Drive show on 28th August to review Bob Dylan's 27th August show at The Tivoli, Brisbane's. Robert Forster is the first Artist in Residence on Double J radio. 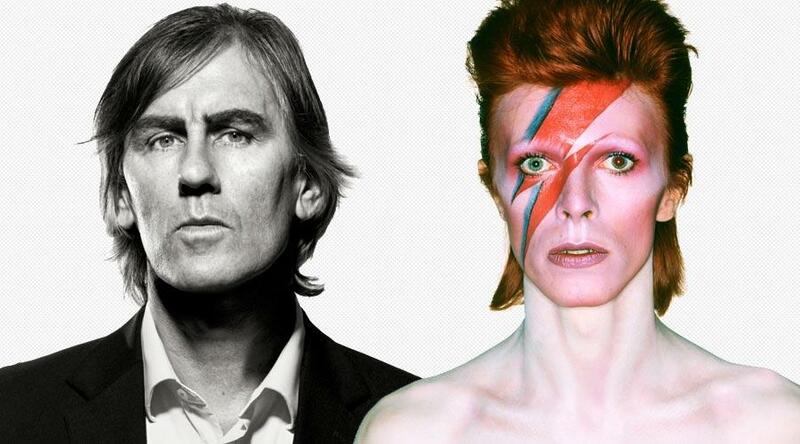 His radio show will run on Sundays at 3pm throughout May, Robert first show will be on Sunday 4th May 2014, about David Bowie in the Seventies. 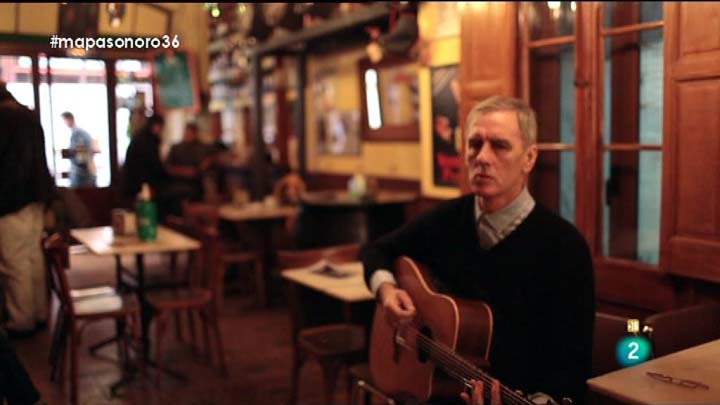 A short film of Robert Forster in Barcelona in November 2013 can be seen on the Televisi�n Espa�ola website at RTVE.es. The film includes an interview by Kiko Amat. 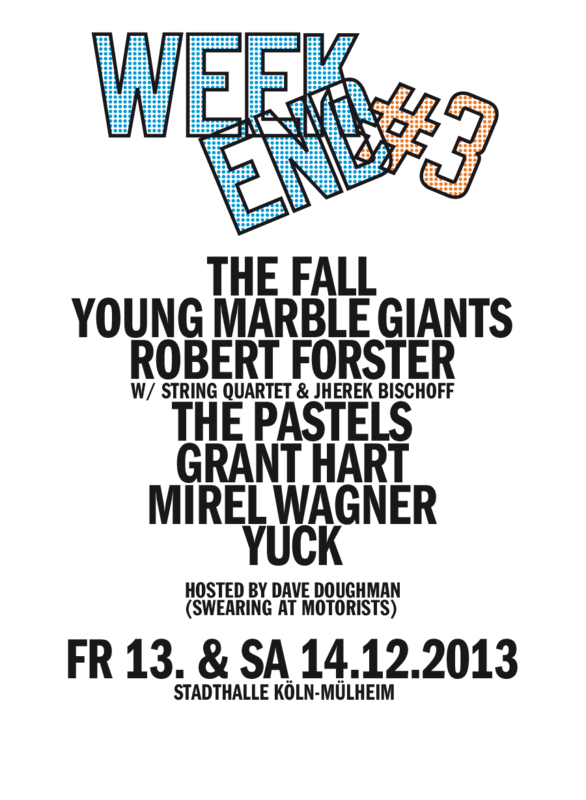 Robert Forster will be performing as part of Weekend #3 at the Stadthalle K�ln-Mulheim on Saturday 14th December 2013. For this performance, Robert will be accompanied by a string quartet led by Jherek Bischoff. 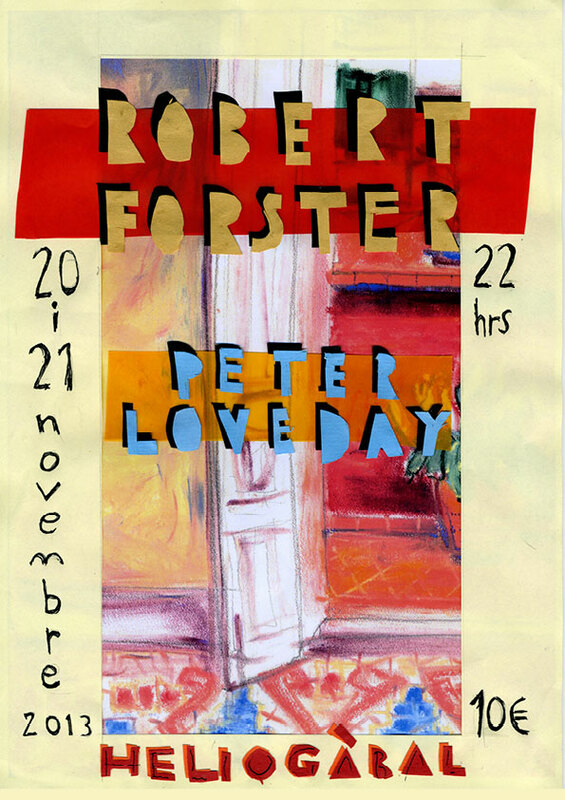 Robert Forster will be playing two shows at Heliog�bal in Barcelona on Wednesday 20th November 2013 and Thursday 21st November 2013. The National Gallery of Victoria in Melbourne on Friday 12th July 2013: details and tickets on the National Gallery of Victoria website. Haus der Kulturen der Welt in Berlin on Saturday 3rd August 2013: details and tickets on the Haus der Kulturen der Welt website. Nachtasyl at the Thalia Theater, Hamburg on Sunday 4th August 2013: details on the Thalia Theater website; tickets from Ticketmaster. The Iceland Airwaves festival in Reykjavik. The festival runs from 30th October to 3rd November 2013; the exact date of Robert's performance is to be confirmed. 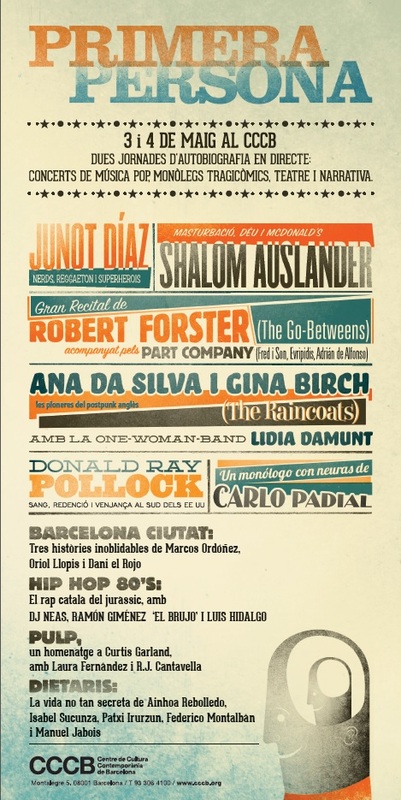 Robert Forster will be playing at the Primera Persona festival in Barcelona on Saturday 4th May 2013. More information from the Primera Persona website. Robert will be in discussion at the Arts Centre, Melbourne on Saturday 2nd March at 5pm. More information on the Arts Centre, Melbourne website. 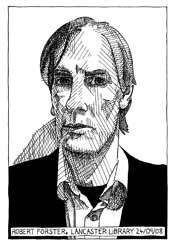 Robert Forster plays two nights at the Buchhandlung Dombrowsky in Regensburg, Germany, on Saturday 8th December 2012 (8.30pm show) and Sunday 9th December 2012 (7.30pm). The Saturday show is now almost sold out. More information from Buchhandlung Dombrowsky. 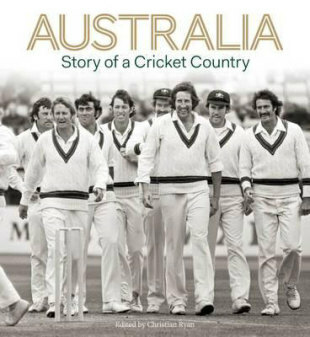 Robert Forster has essay on the Australian cricketer of the 1960s and 1970s Doug Walters included in a new book Australia: Story Of A Cricket Country, published by Hardie Grant in November 2011. Robert Forster gave a talk at the the New South Wales Art Gallery at The Domain in Sydney, for their Art After Hours series. The talk was on Wednesday 13th April, in the gallery's entrance court. A short video of the talk has been made available by the gallery. Robert Forster recently hosted a conversation with Australian singer-songwriter Paul Kelly, discussing Paul Kelly's new book How To Make Gravy. 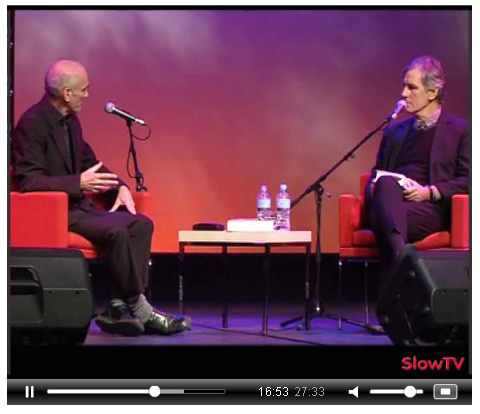 The conversation can be viewed on The Monthly's Slow TV website. 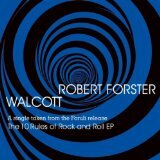 Walcott, taken from the EP included with the Foruli edition of Robert Forster's book The 10 Rules of Rock and Roll, is released as a download single on Monday 9th August 2010. The song is a cover of a track by Vampire Weekend. 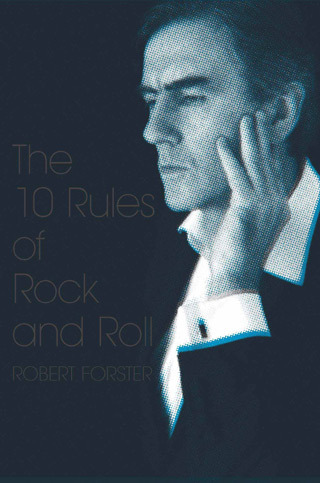 Robert�s first book, 'The 10 Rules of Rock and Roll - Collected Music Writings 2005-2009' was published by Black Inc in Australia in early November 2009. A limited edition hardback edition of the book will be published by Foruli Publications in June 2010. This special edition of the book will be a box set limited to 500 copies and will be signed by Robert. It will include a signed offset litho art print and a 10" vinyl EP featuring new recordings by Robert of songs originally recorded by four of the artists discussed in the book. Robert's notes on the E.P. can be read on the Foruli website. The Go Between Bridge Concert took place on Friday 25th June 2010, celebrating the opening of the Go Between Bridge in Brisbane. 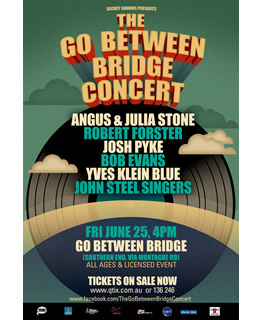 The concert featured Robert Forster, Angus & Julia Stone, Josh Pyke, Bob Evans, Yves Klein Blue and John Steel Singers. A review of the opening concert appears on the mess + noise website. Reports on the bridge opening have appeared in the Brisbane Times and the Courier-Mail. The Go Between Bridge web page. Robert Forster is the guest in the latest Word podcast. A two-page interview with Robert about The 10 Rules of Rock and Roll appeared in February 2010 issue of The Word magazine from the UK. A longer version of the interview can be heard on the Word website at www.wordmagazine.co.uk/forster. 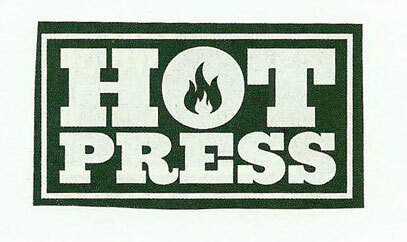 The Word print interview can be downloaded as a pdf here. Another interview with Robert about The 10 Rules of Rock and Roll on the Black Inc. blog. Audio interviews with Robert about the book can be heard on the ABC Perth and ABC Melbourne websites. Robert has also appeared on ABC Brisbane in conversation with Richard Fidler. A review of The 10 Rules of Rock and Roll appears on Caught By The River. The view from Brisbane on ABC features Robert talking about snow in Brisbane. 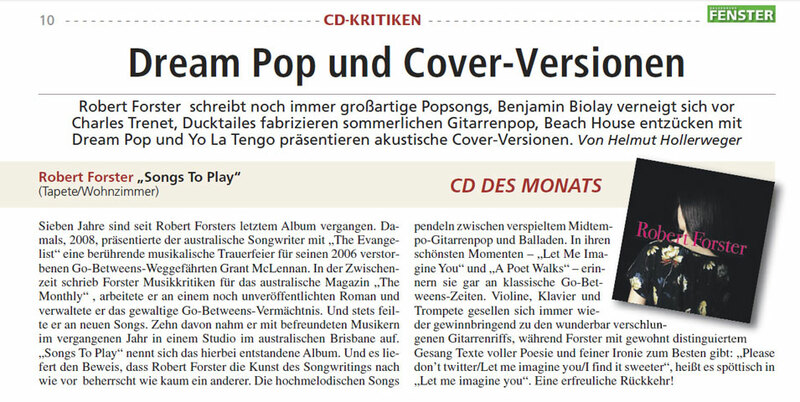 The current issue (October 2009) of Rolling Stone in Germany is their 15th birthday issue and it contains a new Robert Forster recording of Rock and Roll Friend on its accompanying CD. This version of the song was recorded recently in Brisbane. Robert has finished producing the debut album for The John Steel Singers. The album was recorded during June and July 2009 in Sydney and Brisbane. The first single from the album, Masochist is out now and can be heard on the band's MySpace page. The John Steel Singers LP will follow in early 2010. Robert is currently producing an album for Brisbane band Halfway which shall be released early 2010. Adele Pickvance has written music for the Nick Earls play The True Story of Butterfish, running at the Brisbane Powerhouse from 1st to 25th October 2009. Robert Forster has contributed a song, It's Not What You Think. Tickets and more information on the Powerhouse website. 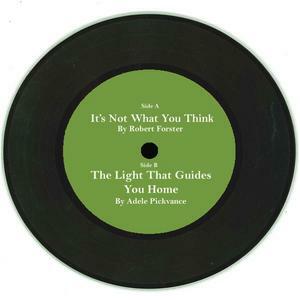 Two tracks from the play, It's Not What You Think by Robert Forster and The Light That Guides You Home by Adele Pickvance, are available to download from emusic.com, amazon.com, iTunes and other music retailers. The True Story of Butterfish was recently the subject of an article in the Brisbane Times. An interview with Nick Earls appears in The Age. This year's Queensland Music Festival includes Song Trails, a series of songwriting workshops taking place at various locations around Queensland from 27th July to 31st July 2009. 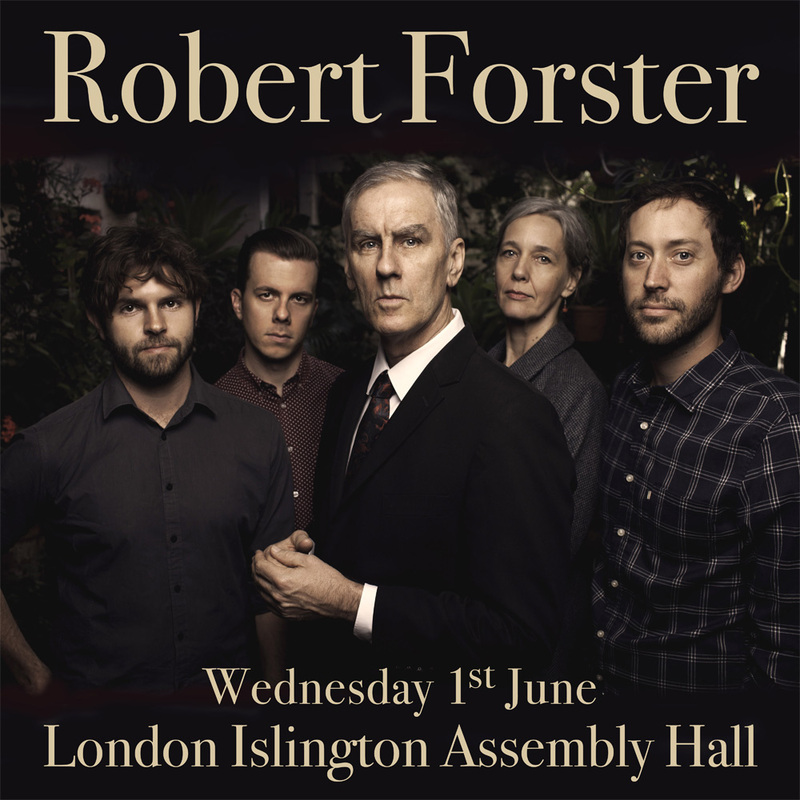 Robert Forster is part of the touring team who will be leading these songwriting workshops. For more information on the workshops and how to register for a place, visit the Queensland Music Festival Song Trails Central website. Following the Song Trails tour there will be a free finale concert on 2nd August 2009 at the Brisbane Powerhouse. Reports from the front-line of the Song Trails tour are on the Song Trails blog. A report on one of the workshops has appeared in the Bundaberg News Mail. 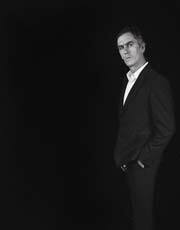 Robert Forster is one of the contributors to Vagabond Holes: David McComb & The Triffids, due to be published by Fremantle Press in August 2009. More information on the Penguin Books Australia website. 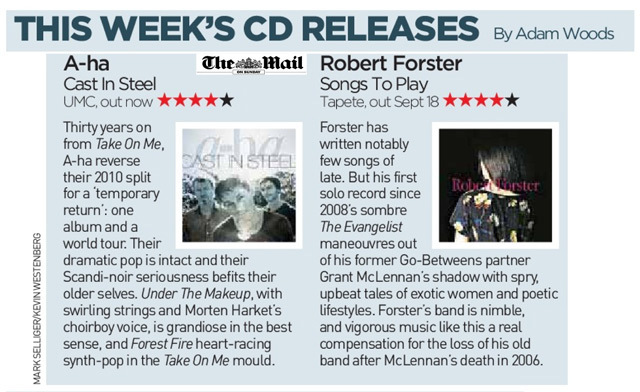 Robert Forster is featured in the new issue of Homelovin' fanzine. The fanzine features articles on The Evangelist, the show at Lancaster Library in September 2008 and the editor's experiences in painting Robert - a drawing of the painting appears in the fanzine and can be seen here. A blog for the US and European legs of the 2008 tour has been started at steephills.blogspot.com. The blog will be regularly updated with news from the road.